The death toll mounts, and the very ground groans in travail. The waters die, the livestock dies, the vegetation dies, soon the light will also die—what is left? The people who suffered will also die. The firstborn sons will be taken, and all that is left will be sorrow and mourning. The cries of the Israelites were carried up to God in their distress and pain; now the cries of the Egyptians rise up, but they fall upon deaf ears. They have sinned against God and humankind; they have oppressed the holy, chosen people of God; they have reached out their arms and struck those whom God has ordained as His own. There are no ears to hear their cries, and the death toll mounts. The smell of death is upon the land, and it would seem that the toll mounts uncontrolled, without reason. Enough is enough; will it not stop? Will there be anything left? Yet Pharaoh holds fast to his stubborn and wicked ways as the cries of anguish are heard throughout the land. So, the Lord God decimates the land and the Egyptians in order that they may no longer be a threat to His people. Everything is in His control, and He wields His sword mightily. Even as the smell of death wafts across the land of Egypt, it does not drift into the land of Goshen. The death toll mounts, but the Hebrews are spared, for the Lord works His will and fights the battle for them. He is their champion upon the field as He sets the stage for the rescue that will soon come. Death surrounds us; we walk through the valley of its shadow; we dwell in the very midst of this reality. All around us, the death toll mounts as the world ignores the One who gives life and preserves it. All around us, death swings his sickle and reaps his harvest, but the smell of death does not fill the nostrils of the children of God, for He has stopped it and stayed its power from our land. Death is not an enemy that slinks easily away. Death must be defeated. Death must be conquered upon the battlefield and be chained, lest it return to take us to its dark valley. So the Champion who fought for the people of God of old also fights for the people of God today. Jesus Christ is the warrior strong to save. Jesus Christ is the One who has faced death and struck him down in defeat, even as He has chained him forever by His victory over the grave. He has fought and won the battle, securing the victory for His children. Even though we are surrounded by death on all sides, we fear no evil, for God is with us. Even though the stench of death is strong upon the land of darkness, we are safe and secure in the redeeming arms of the One who faced down death in our place, bestowing upon us life—even life everlasting. 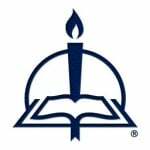 The Prayer of the Day is from Lutheran Service Book, Collects of the Day © 2006 Concordia Publishing House. All rights reserved. From A Year in the Old Testament: Meditations for Each Day of the Church Year, page 112 © 2012 Concordia Publishing House. All rights reserved. 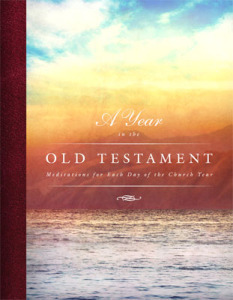 To order A Year in the Old Testament, please contact CPH at 800-325-3040 or visit www.cph.org.